With crammed schedules and the balancing act of work, kids, family, stress, and maybe even a little self-care time, becoming ‘autopilot partners’ can be SO easy. With the autopilot left on over time, your spouse can begin to feel like a roommate. This can lead to falling into routines of disconnection that end up hurting you both. Being intentional about dating your spouse will not only work to keep you close and connected, it will also buffer your relationship against negativity- making those inevitable tough conversations a little bit easier. Plus, dating each other again can be a lot of fun. Sounds like a win-win-win! Here are my six steps to get out of the routine of disconnection and start dating your spouse again. 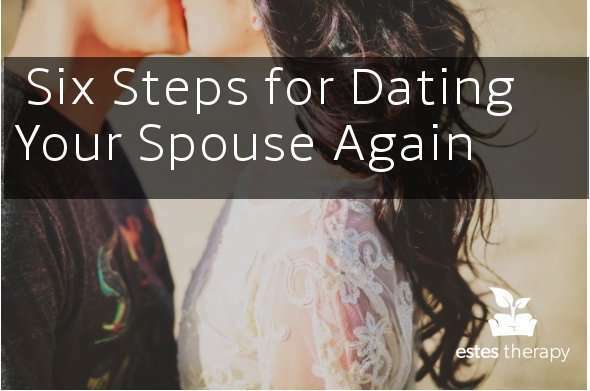 These steps will not only set you up for success, it will help keep your date nights on the right track when they do happen. Make dating each other intentional: Bill Doherty, in his book ‘The Intentional Family,’ is so spot-on when he describes this: “An intentional marriage is one where the partners are conscious, deliberate, and planful about maintaining and building a sense of connection over the years.” It is important for the decision to date your partner be conscious, deliberate, and planful- for both of you. Being intentional about this will help you both not fall into the trap of being autopilot partners. Make dating a ritual in your relationship: This is an important tool for successful relationships because it resists turning autopilot mode on, and also opposes the day-to-day routine that can take over relationships. Routines, although done together, carry no emotional significance for either partner- and can get you stuck on the autopilot hamster wheel. On the other hand, rituals are emotionally significant, occur repeatedly, and are created as a team. Create your dating ritual with your partner, such as once a week date night out, or once a week brunch date at home when your mother-in-law takes the kids. Make sure your ritual is ongoing and actually built into the relationship so that it is something predictable you can count on. Anything can be a ritual, as long as the focus is on the two of you. Support each other through external stress: When looking at which couples maintained change after couples therapy and which couples relapsed, researcher Neil Jacobson found that after two years the greatest predictor of relapse was how the couple handled external stress outside of the relationship. We all know how it feels to have external stressors (Like work, friends, or that annoying neighbor) spill over into our relationships. Having a place to openly talk about what is going on outside of the relationship with your partner can help you both manage this external stress, and works to bring you closer together. Try and make it a point to have this conversation during your date night, for at least 20 minutes, taking turns speaking, actively listening, and supporting each other. Ask open-ended questions: Who we are is fluid and can change over time- and it is important to not forget that this can happen with our partners, too. Make it a point to learn something new about each other on your date. Remember, open-ended questions are questions that cannot be answered with just a ‘yes’ or ‘no.’ Being curious about your partner will help guide you towards what questions you’ll want to ask. Keep it achievable and realistic: Rituals and good intentions are easily left behind when they are too difficult to integrate into everyday life. This means keeping your budget, kids, and work schedules in mind. Are you saving money to pay off your student loans? Try home cooked meals or picnics instead. Even having coffee for 15 minutes together each morning counts. Keeping your rituals realistic for both of you will set you up for success to create real long-lasting change. 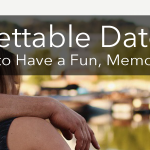 Have fun: Have fun with your date nights and have fun with your spouse! This will help you build up positivity in the relationship, which will make it easier to overcome the negative when it does inevitably pop up. You both will also begin to associate each other with more positive feelings and emotions the more you experience them from being together. This type of conditioning will work to continually bring you closer and leave you feeling more connected than ever. Remember that this will look different for everyone and that what is important is just being intentional about doing the best you can at the place you’re at. If these steps don’t feel achievable at this point in your relationship, know that that’s okay too. We have a team of caring professionals at Estes Therapy that will help you get to the root of the problem and get you back to dating each other again. Jackie has worked at The Gottman Institute in Couples Services for four years, where she received significant exposure, training, and understanding of Gottman Method Couples Therapy. She also received training in Couples in Addiction Recovery, a program designed to target the needs of couples where addiction has come into their life, and Art and Science of Love Program Educator training, aimed towards training professionals in hosting the world-renowned Art and Science of Love Workshop.